Sam’s dissertation is on the potential for data from customer smart meters to be used to modernize the planning, execution, and evaluation of energy efficiency programs. This is one of many steps that will be required to deliver a clean, efficient, and flexible grid, which is itself a requirement of meeting mitigation goals. Using smart meter data from a representative sample of PG&E’s customer base, he will show how meter data can be used to estimate previously unobserved housing stock and occupant characteristics and applied to problems in planning and targeting energy efficiency and demand response programs. He will also discuss the policy ramifications of this work, which include significant challenges for the administrators of public interest energy efficiency programs, especially the need for effective customer privacy protections that do not foreclose on beneficial uses of the data. Sam Borgeson’s academic, and now professional, work is focused on understanding how to deliver reliable, widespread, and deep reductions in energy consumption. He recognizes consumption as driven by technological, social, cultural, and economic factors and sees significant opportunities in applying interdisciplinary approaches to energy efficiency programs. 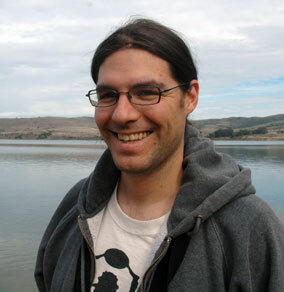 Sam received his PhD in Energy and Resources from UC Berkeley in the fall of 2013. He also holds a masters in Building Science from UC Berkeley. He studied physics as an undergraduate at Wesleyan University (1993-1997) and founded a software consulting firm (2000 to present) specializing in developing custom web-based software utilizing agile software methodologies.